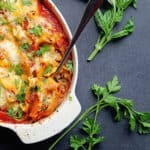 Sausage Stuffed Shells Recipe – Flavorful sausage and herb ricotta cheese mixture is stuffed inside pasta shells and topped with flavorful marinara and cheese! I will be traveling for the next two weeks. Yep that’s right, two weeks. First I’m heading to Las Vegas tomorrow with the hubby. Last year, we went to Mexico, and I was looking forward to an island getaway this year but my mom totally vetoed that. The Zika Virus is out there, and she isn’t having it since she is ready for grandchildren. I plan on eating my weight in food in Las Vegas so you can expect an awesome roundup like this one I did of LA restaurants when I return. Before I cleared out of here, I wanted to give you one last restaurant before I completely put my life on pause for fun and relaxation. These Sausage Stuffed Shells should leave you completely satisfied until I return. So let’s see, I love stuffed shells. I’m at a loss for words so this won’t be a long post. 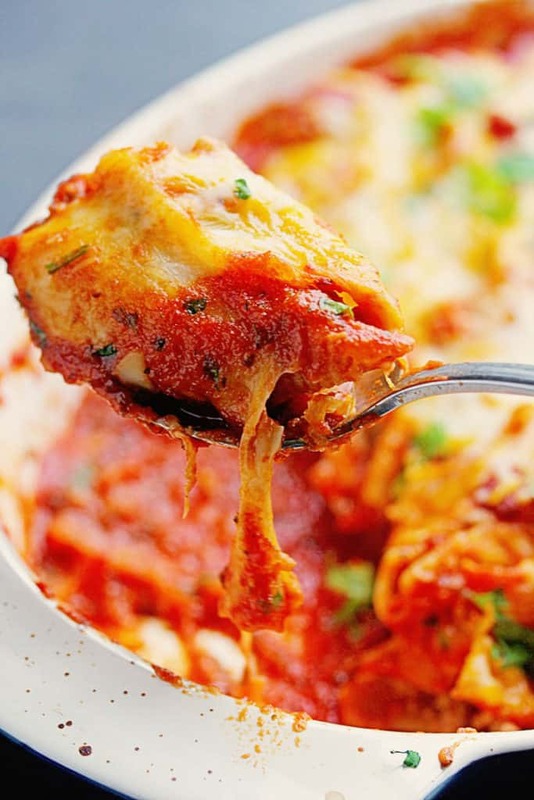 The recipe reminds me a lot of lasagna without all of the layers. In a small little shell, you get tons of flavor, and flavor is good peeps! And it is even better when you add my homemade garlic bread or these Cheesy Garlic Breadsticks! 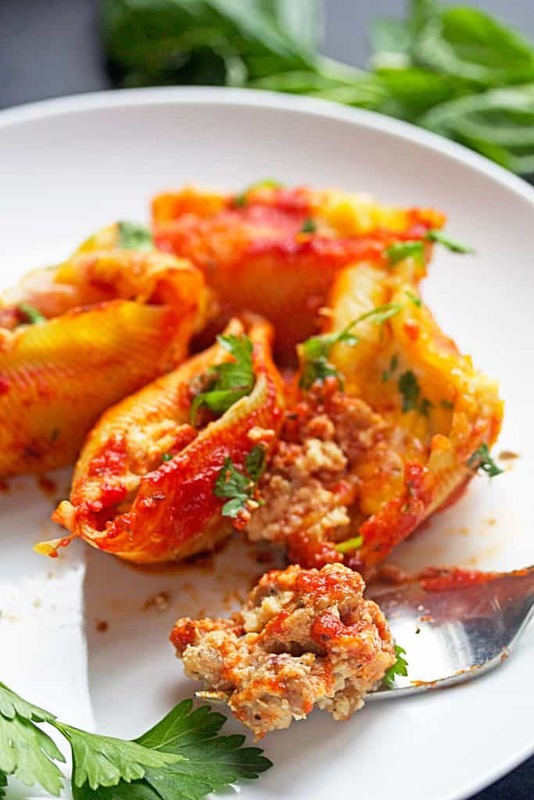 I love using sausage instead of ground turkey or ground beef in this stuffed shells recipe because it adds extra flavor in my humble opinion. Combining it with the ricotta cheese, some parmesan and herbs is really fantastic inside the shell. 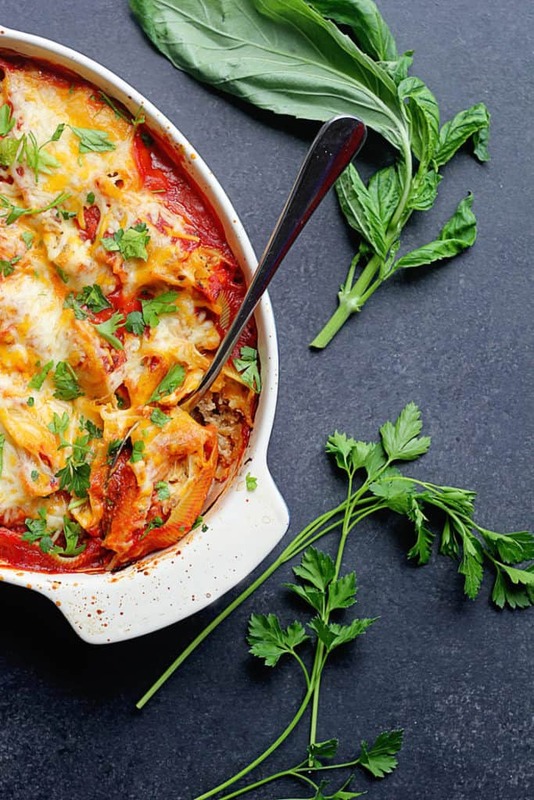 This sausage stuffed shells recipe could not be any easier too. I can get these babies in the oven in about 30 minutes. I also think the kids would love stuffing the shells with the filling. 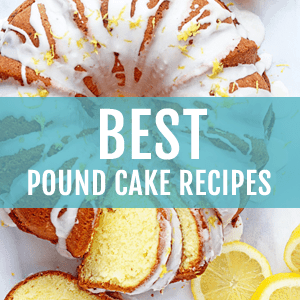 There is egg in this recipe so using a pasteurized egg like the ones I use from Safest Choice would be great if you get them involved. Once you finish stuffing the shells, you top the whole thing with marinara sauce and shredded cheese and bake. I don’t think anything has ever tasted bad with marinara sauce and cheese. I could be wrong but I don’t think I am. This sausage stuffed shells recipe is at the top of the heap. 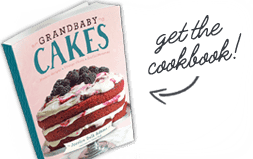 And make sure you grab this Baked Mostaccioli recipe by TidyMom. Sausage Stuffed Shells Recipe - Flavorful sausage and herb ricotta cheese mixture is stuffed inside pasta shells and topped with flavorful marinara and cheese! Start by preheating your oven to 350°. Add olive oil to a pan over medium heat. Crumble and cook italian sausage in pan until browned through. Set aside. Spray your baking dish with non-stick cooking spray. Spread 1/3 of the marinara sauce on the bottom of the dish. In a large bowl, stir together crumbled and cooked sausage, ricotta cheese, parmesan cheese, the egg yolk, Italian herbs and seasoning, garlic powder and salt and pepper until well combined. Carefully begin to stuff pasta shells with filling (about 1 1/2-2 tablespoons each) and add to the bottom of the baking dish on top of the sauce. Once all are stuffed and arranged in the dish, pour the rest of the marinara sauce on top and finish by sprinkling cheese over the dish. Cover and bake at 350° for 25 minutes then remove cover and allow to bake and brown for additional 10 minutes. Let stand 5-10 minutes before serving. Sprinkle with parsley if desired. I love Italian food and anything pasta related. 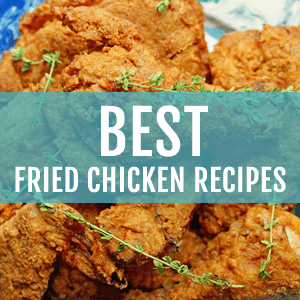 I’m adding this recipe to my repertoire! Perfect comfort food but sophisticated too. A+! this looks amazing and so did all of your food from Vegas!!! hope you had a great time! These shells look so tasty! I’m always down for pasta, and I love that scrumptious red sauce! Hope you’re having a great trip! I have similar concerns about the Zika virus. Love the looks of these shells, pure comfort food! You are speaking my language with these stuffed shells. I love pasta in all its cheesy glory. This sausage version sounds divine! Ground sausage is always a great way to add an extra kick of flavor. This looks like the ultimate comfort food that I know my family would love. Have a great time in Vegas! 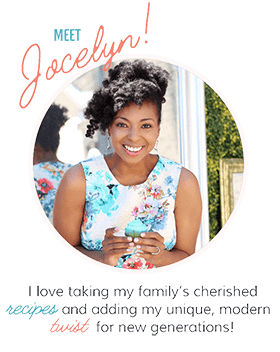 Stuffed shells are a favorite of mine too Jocelyn! My mother always made them when I was growing up! They’re delicious and they always bring back special memories. Love that you added sausage. Thanks for sharing and have fun in Vegas! Ohh my boys would just love this. I need to make it for them soon! I think I could live on this for dinner every night! I hope you have the BEST time in Vegas and that you eat ALL the good food! I’ve never spent a ton of time there, but I know it’s a blast, whether you’re there for a long weekend or an actual week! And these stuffed shells. YUM! We’ve always used sausage when making our own stuffed shells for the same flavor reasons, and I’ve pinned your recipe so I can make it next time since we love pasta dishes in our house! This looks delicious! My friend just brought me jumbo shells when sure came to visit (can’t get them in china!) So going to make this! Yummy! Oh man, this looks amazing. I love stuffed shells! I’ve got to try this recipe soon. 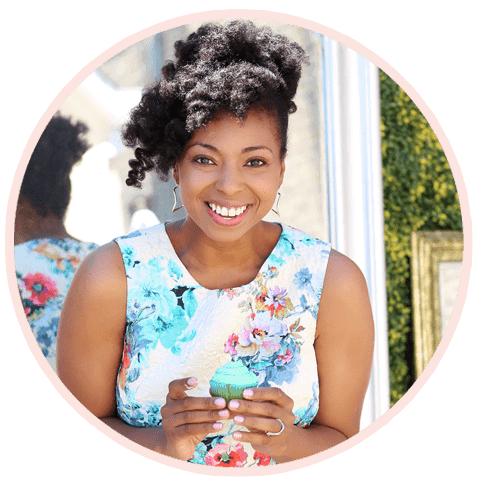 Have fun on your trips – can’t wait to hear about what you ate! 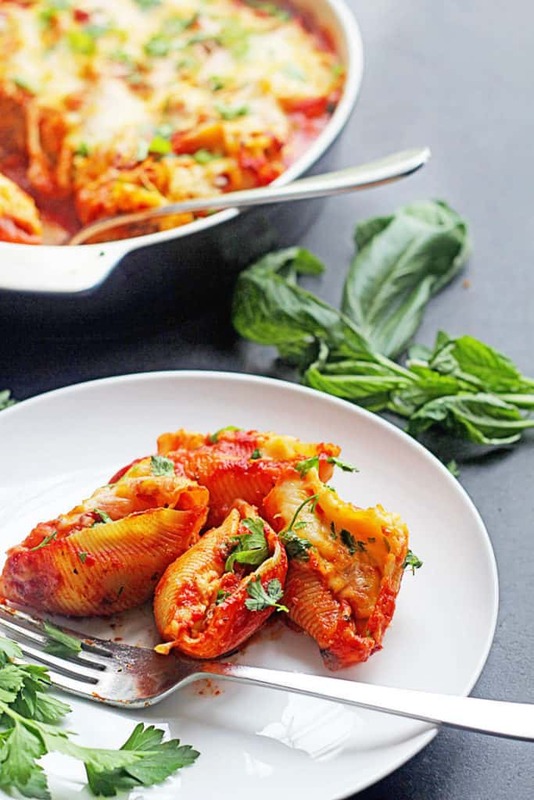 And these stuffed shells look perfect – I’d love to have some for dinner tonight!